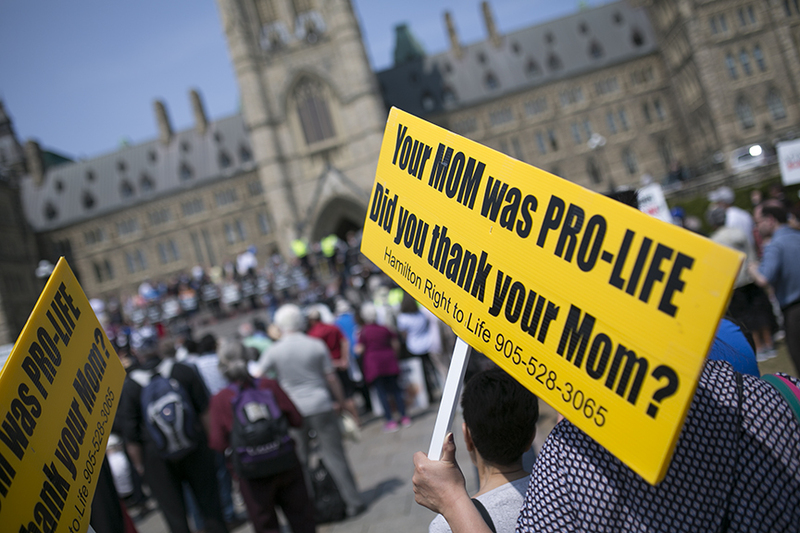 The annual March for Life took place on May 12, 2016 beginning on Parliament Hill. 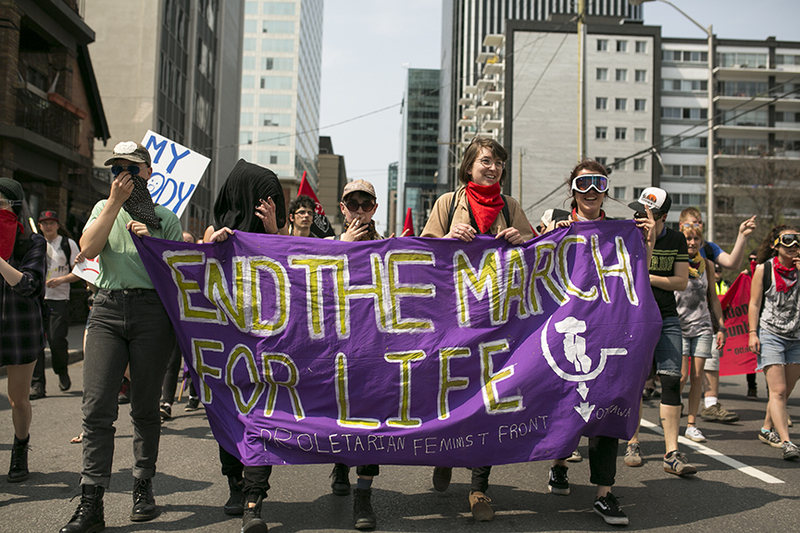 The march was organized by Campaign Life Coalition (CLC). 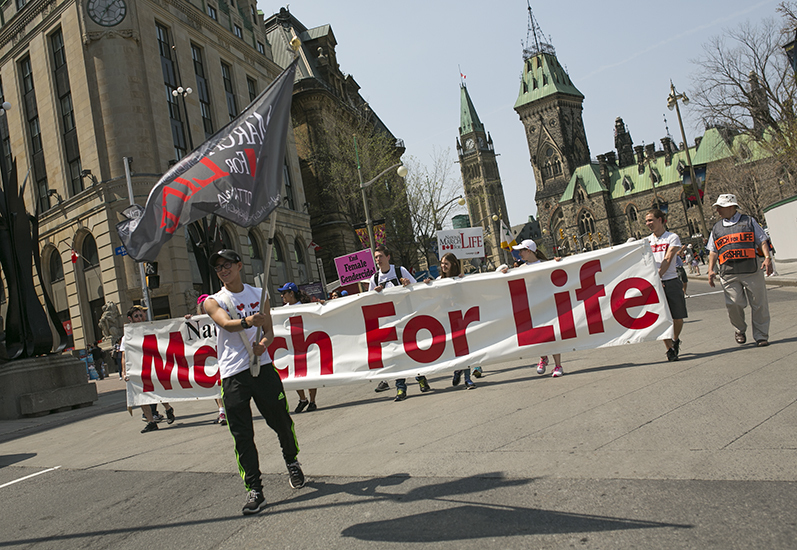 The March for Life’s speakers included the Archbishop of Ottawa, Terrence Prendergast and CLC national president Jim Hughes. 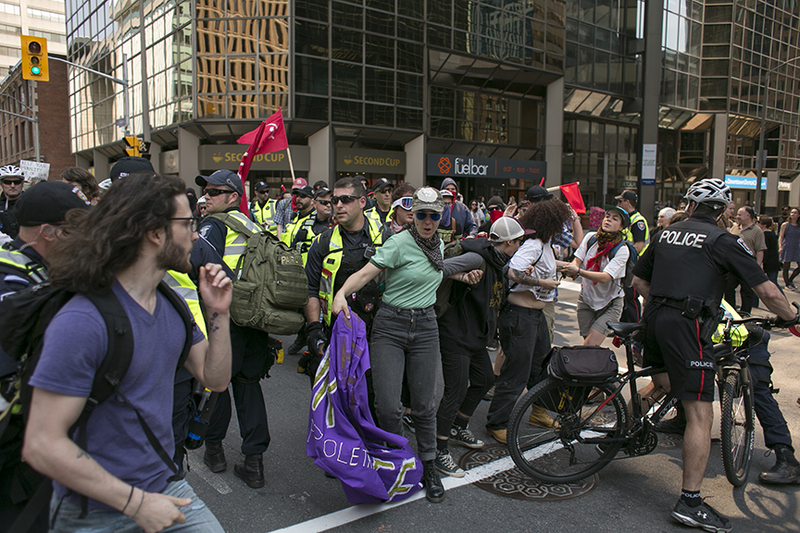 A counter march was also held, beginning on Elgin Street and contained by police before it moved several times throughout the downtown area as police blockaded it at different intersections to stop the separate sides from meeting. 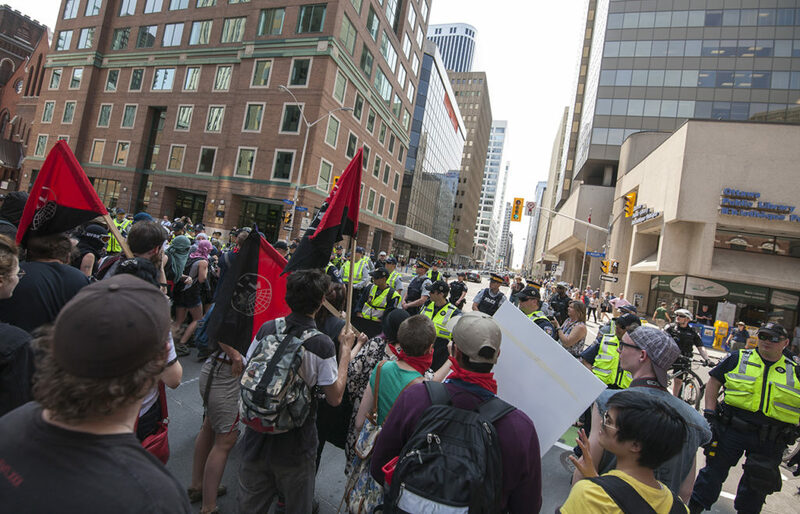 The counter march proceeded towards the Ottawa police station on Elgin Street where participants sat on the street and requested the release of a detainee from the previous night’s altercation. 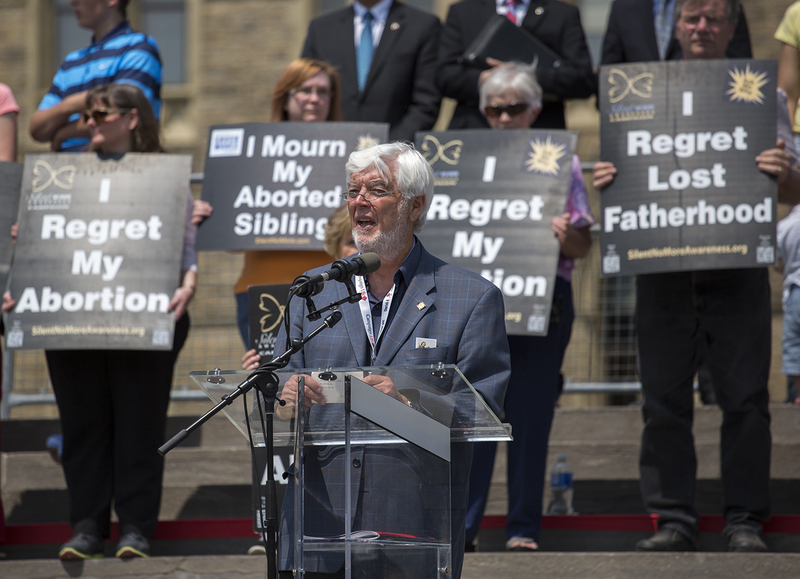 Campaign Life Coalition national president Jim Hughes. 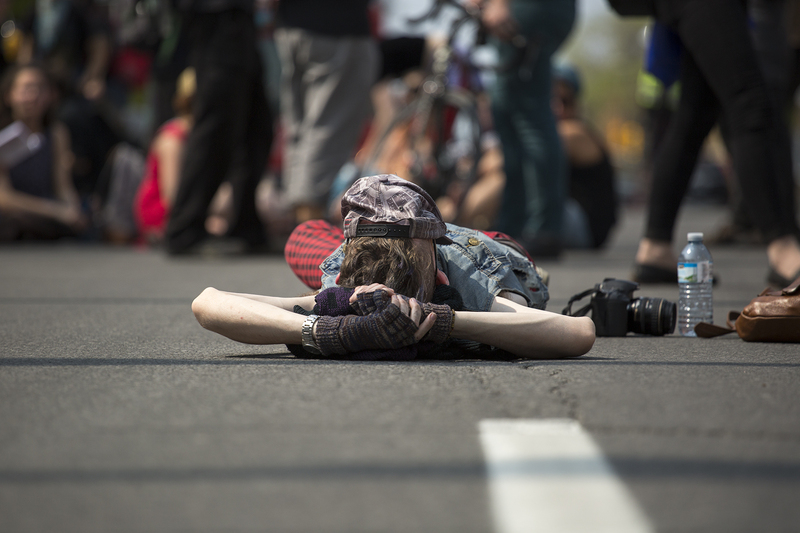 May 12, 2016. 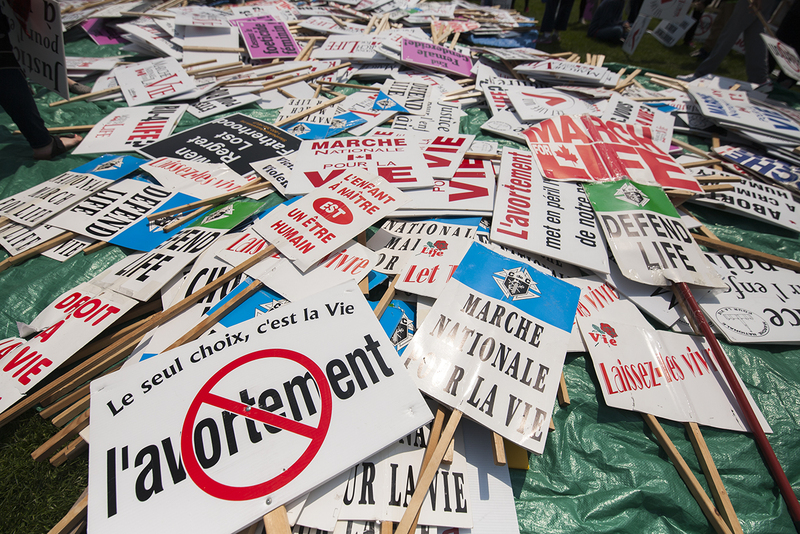 My mother was NOT pro-life, she was pro-choice! !